After graduation, Cynthia will work for Oracle in their sales academy program in Burlington, Mass. 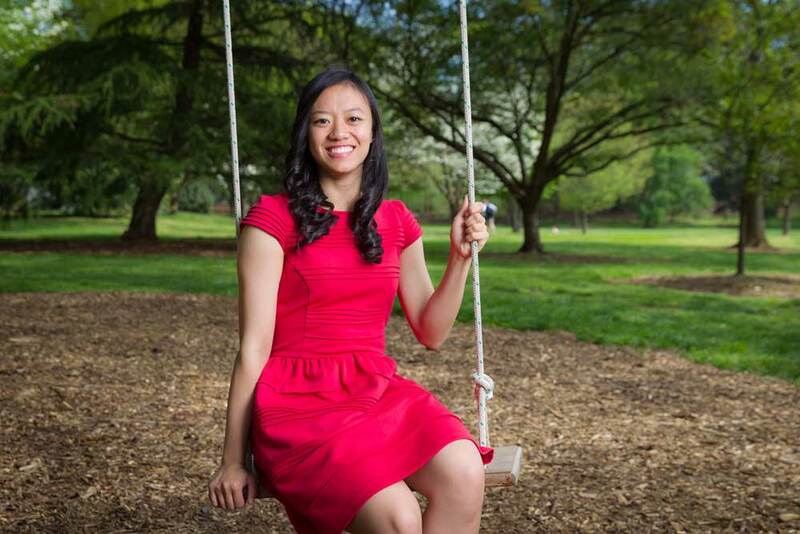 “I’m excited to start the next chapter of my life, while cherishing the many awesome experiences I’ve had over the past four years,” Cynthia says. Q: In what ways you have changed since your first days on campus? A: I am more cognizant of how blessed I am to be at Wake Forest. This hyperactive awareness frames the way I approach my day-to-day activities, and I find that I’m able to live life with more joy and confidence. This mentality permeates all aspects of my life whether it is academic, social or spiritual and it gives me greater confidence to say ‘yes’ to all the things I am passionate about. A: I studied abroad in Vienna, Austria, the summer after my first-year. I went with the dance department and got to know my professor and my classmates well. I had the amazing opportunity to participate in ImpluStanz, an international dance festival. I went out of my comfort zone to try a new style of modern technique, and I learned how to hurl my whole body to the ground and break my fall in one fluid movement. Another student and I worked with my dance professor to learn a duet, which we performed internationally. If I had another chance to go abroad, I would do it again without hesitation. A: I have loved my experience with Wake Saturdays, a recently chartered organization spearheaded by a couple of Wake Forest students six or seven years ago. A group of volunteers meet every Saturday morning. We meet an immediate need by serving lunch to the homeless community, building meaningful relationships and loving as Christ has loved us. I started volunteering as a sophomore and grew to learn how to serve and love the homeless community in Winston-Salem. My Saturday mornings spent with the folks downtown not only taught me how fortunate I am, but also how much our friends need their community to support them. They hold a special place in my heart, and those Saturday mornings will be dearly missed. Q: Explain your research on John Cage. A: During the summer after my sophomore year, I collaborated with dance professor Christina Soriano in a five-week summer research study on renowned music composer John Cage. Through this research process, I learned how to approach choreography from a scholarly perspective. Professor Soriano and I worked closely with music professor Louis Goldstein, and together we collaborated to create a solo dance work, “For Cage.” I had the opportunity to perform “For Cage” in Cagefest, a festival hosted by Wake Forest that commemorated the centennial of Cage’s birth, and in Wake Forest’s fall faculty dance concert. I also received the honor of representing Wake Forest at the American College Dance Festival Association in Missouri last spring. The culmination of our research showed me the importance and power of collaboration and that it can be such an enriching experience when you are surrounded by brilliant mentors and teachers. A: Professor Soriano has been like a second mom to me. She has taught me, mentored me and counseled me over the past four years and the impact she has made on my life will never be forgotten. She has inspired me to love modern dance even more than I did before, and she has given me the chance to further investigate my passion through research and performance opportunities. I have taken every class she offers, and some dance classes multiple times, because she is an amazing professor. She has challenged me as a student and as a dancer, and I truly appreciate all that she has done for me. I’ve also gotten to know business professor Holly Brower, and she has made a ginormous impact on my life. The invaluable time we have spent talking about our lives and our faith has challenged me, and I think has nurtured my growth. Dr. B is not only a great listener, but also a generous person in many aspects of her life. The more time I spend with her, the more I want to be like her. She is full of wisdom, and I can trust and count on her to be there to offer great life advice. A: Put your ‘yes’ on the table. Follow your passion or better yet, try something new! Don’t get caught up in the busyness of being a student. Commit to one or two things and give it your all! "I never thought I would become so committed to the Wake Forest community. 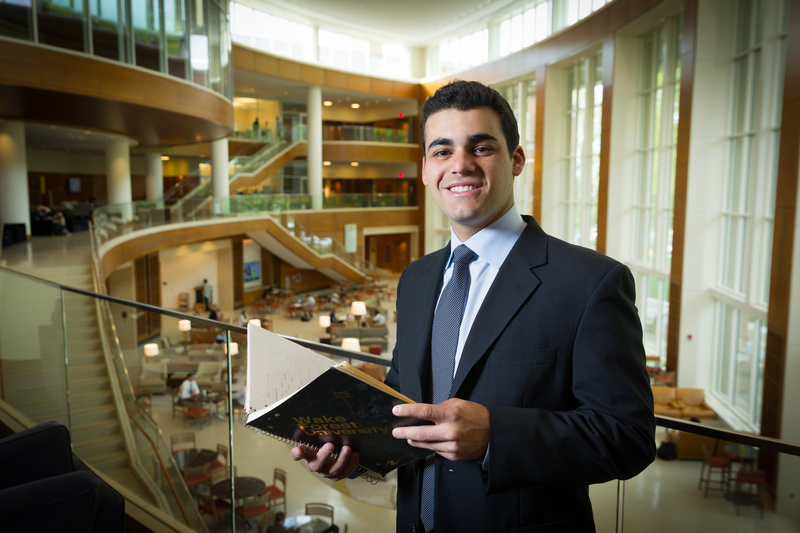 Wake Forest has taught me what it means to be a part of something larger than myself." 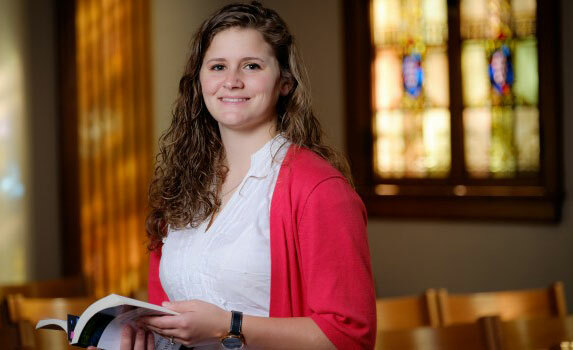 "The volunteer work that I did was primarily with the youth and children at my church. The most rewarding interactions have been with the middle school Sunday School class I teach. They are willing to ask the tough questions, without doing so to try and impress anyone. I am always amazed by what they teach me." "One semester. Four continents. Thirty students. My study abroad program was an in-depth intentional comparison of health trends in very diverse nations. The International Honors Program: Health, Culture, and Community focused on comparing the health conditions and healthcare systems structure in Vietnam, South Africa, and Brazil. "